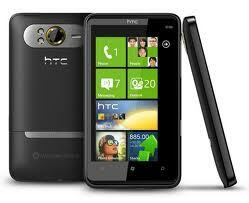 HTC via Online retailer Flipkart just recently made the pre-order availability of its all new smartphone named HTC Desire Z in Indian market.The new HTC Desire Z smartphone now available for pre-order for a price tag of Rs 25,799 INR (about $575) and the shipping starts on January 3rd, 2011. Tags:-HTC Desire Z smartphone Launch in india, HTC Desire Z smartphone india release, HTC Desire Z smartphone specs, HTC Desire Z smartphone features, HTC Desire Z smartphone images, HTC Desire Z smartphone india price, HTC Desire Z smartphone news, HTC Desire Z smartphone india news, HTC Desire Z smartphone price details, HTC Desire Z smartphone india pre-order news. Toshiba NB550D -Toshiba's all new AMD Brazos based notebook recently launched by Toshiba.The new Toshiba NB550D AMD Brazos based netbook has a stylish metallic finish and is expected to hit market by early 2011. 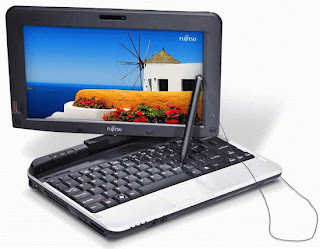 The new Toshiba NB550D netbook comes equipped with a 10.1-inch LED-backlit display and is powered with 1.0GHz C-50 (Ontario) APU with Radeon HD 6250 integrated graphics supporting DirectX 11 and two Bobcat x86 cores.The netbook packs a 1GB RAM and 250GB HDD. 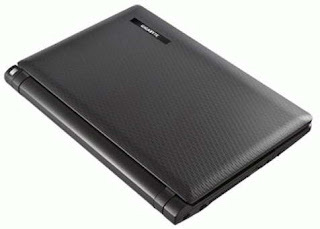 New Toshiba NB550D netbook comes pre-installed with Windows 7 Starter OS and Features webcam, Wi-Fi 802.11 b/g/n, Bluetooth 3.0, HDMI port.The netbook weighs 1.32Kg and its dimensions are 261.9 x 189.5 x 17 / 35.5 mm. 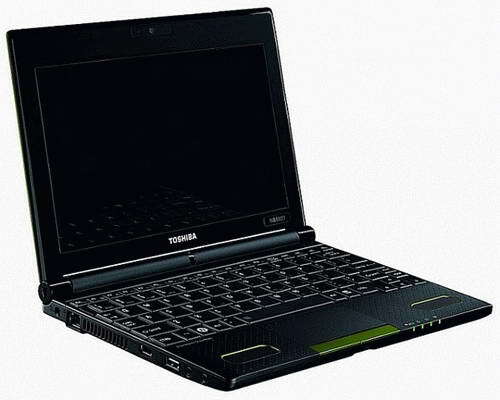 The Toshiba NB550D netbook also features a long battery life with a back up of 9.5 hours with its 6-cell Li-ion battery.The AMD Brazos based Toshiba NB550D netbook will be available in Lime Green, Brown and Orange shade options. 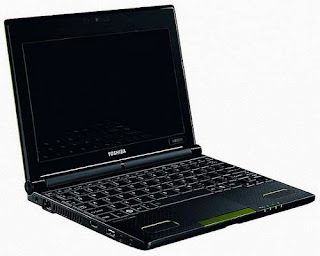 Tags:-Toshiba NB550D AMD Brazos based netbook, Toshiba NB550D AMD Brazos based netbook launch, Toshiba NB550D AMD Brazos based netbook release, Toshiba NB550D AMD Brazos based netbook features, Toshiba NB550D AMD Brazos based netbook specs, Toshiba NB550D netbook news, AMD Brazos news, news about AMD Brazos notebook. 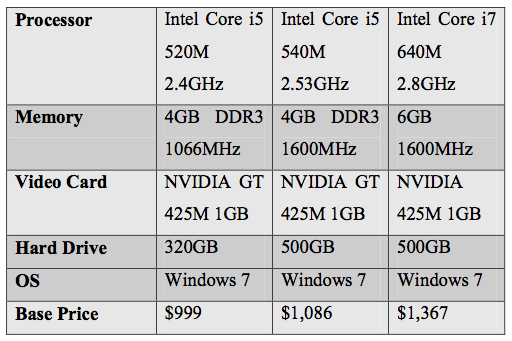 MSI Wind U270 - MSI's upcoming first AMD Brazos based notebook made its official launch recently. The new MSI Wind U270 AMD Brazos notebook equips a 11.6-inch display with 1366 x 768 pixel resolution and is powered with AMD's hybrid 1.6GHz Zacate accelerated processor (the E-350 chip) that provides 40nm chip along with Radeon HD 6310 graphics card that supports DirectX 11 API. New AMD Brazos MSI Wind U270 notebook includes 4GB RAM and either 320GB or 500GB HDD.MSI Wind U270 notebook Features large touchpad, Chiclet keyboard, 1.3 megapixel web camera, ECO power-saving technology, USB 3.0 port, D-Sub and HDMI interface and card reader. 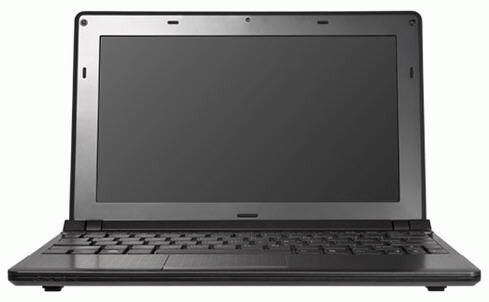 The price and launch details of AMD Brazos MSI Wind U270 notebook is not revealed at the moment. Tags:-AMD Brazos based notebook, MSI AMD Brazos based notebook details, AMD Brazos based notebook from MSI Specifications, MSI Wind U270 AMD Brazos based notebook launch, MSI Wind U270 AMD Brazos based notebook details. LG is all well set to made the availability of world's largest FULL LED-backlight LCD 3D TV, named LG LZ9700 soon in markets.The new LG LZ9700 LED LCD 3D TV will make its debut at CES 2011 and will be available for sale in markets early 2011. 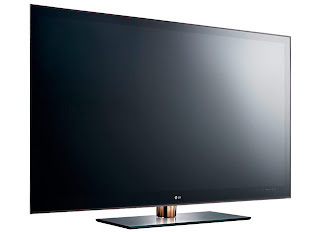 The new LG LZ9700 FULL LED LCD 3D TV packs a 72-inch display screen and capable of viewing videos and images in both 2D and 3D.The LG LZ9700 features FULL LED technology ie the the 3d TV is illuminated with a full panel of LEDs from behind screen capable of producing high quality images.The TruMotion 400Hz provides super-fast processing rate for viewing smooth 3D images. 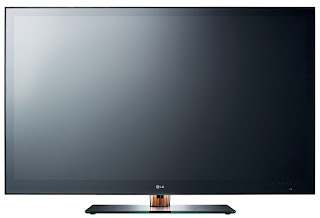 New LG LZ9700 LED LCD 3D TV brings easy-to-use Magic Motion Remote Control technology and also is Featured with access to LG's large collection of TV applications including language classes, Games etc.The TV also has LG's Smart TV functions. Tags:-world's largest FULL LED LCD 3D TV, world's largest LED LCD 3D TV, LG world's largest LED LCD 3D TV, 72-inch LED LCD 3D TV, 72-inch FULL LED LCD 3D TV, LG LZ9700 FULL LED LCD 3D TV features, LG LZ9700 FULL LED LCD 3D TV details, LG LZ9700 FULL LED LCD 3D TV review, LG LZ9700 FULL LED LCD 3D TV specs, LG LZ9700 FULL LED LCD 3D TV images. Samsung recently introduced a new Camera that belongs to the new NX Series of Cameras, named Samsung NX11.The new NX Series Cameras features mirrorless interchangeable lens. 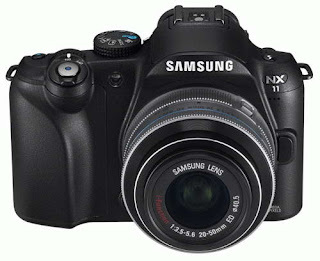 The new Samsung NX11 Camera equips a 3-inch AMOLED display along with an electronic viewfinder (EVF) with 640 x 480 pixel resolution and a 14.6 megapixel CMOS sensor.The Samsung NX11 Camera supports i-Function lens that helps the user to settings like aperture, shutter speed, EV, ISO, and WB with great ease from the lens itself. 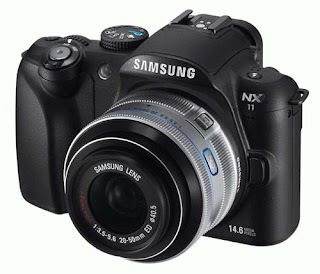 New Samsung NX11 Camera Features 720p HD video recording at 30 frames per second having 1280 x 720 pixel resolution, Face Detection with up to ten person and packs with a 18-55mm, a 20mm pancake, and a 20-50mm zoom silver color lens. 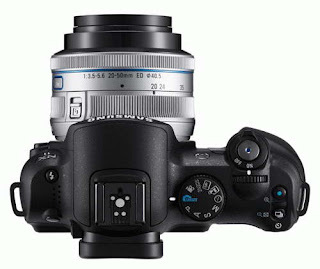 The Samsung NX11 camera will be presented at the coming CES 2011 and hits market by February 2011.The new Samsung NX11 camera bundled with zoom lens and is priced at $649. Tags:-Samsung NX11 Camera price, Samsung NX11 Camera features, Samsung NX11 Camera specs, Samsung NX11 Camera launch, Samsung NX11 Camera price tag, Samsung NX11 Camera details, Samsung NX11 Camera release. 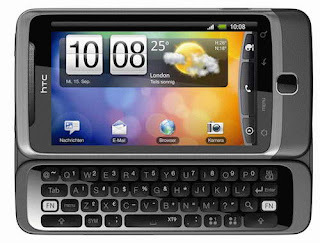 HTC Thunderbolt Smartphone- HTC's new 4G Android Smartphone is expected to be launched by next week.The new HTC Thunderbolt is also the same HTC Incredible HD with new name and is designed for Verizon Wireless capable of supporting 4G LTE network.The Thunderbolt smartphone is the first 4G LTE device launched by Verizon Wireless for the customers. 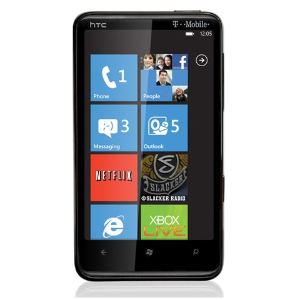 HTC Thunderbolt 4G LTE Android Smartphone equips a 4.3-inch touchscreen display and is powered with Qulacomm Snapdragon processor and features 8 megapixel camera all similar to HTC Desire HD smartphone.HTC Thunderbolt rear panel packs a kickstand that aids in comfortable video viewing. Tags:-HTC Thunderbolt 4G Smartphone, HTC Thunderbolt 4G smartphone features, HTC Thunderbolt 4G details, HTC Thunderbolt 4G specs. ASUS A50- Asus first own brand smartphone launched in markets of Taiwan.The new ASUS A50 Smartphone is available via Chunghwa Telecom mobile operator for a price tag of $325. 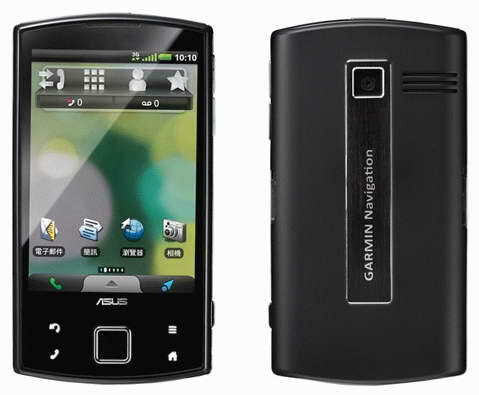 All new ASUS A50 smartphone comes equipped with a 3.5-inch touchscreen display with 320 x 480 pixel resolution and runs on Google Android 2.1 OS.New ASUS A50 smartphone Features 3 megapixel camera, Bluetooth, Wi-Fi and GPS. 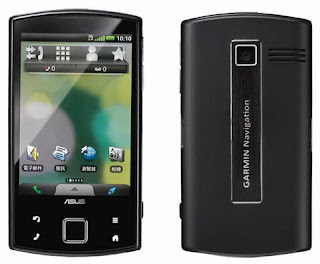 Tags:-ASUS First own brand Smartphone price, ASUS First own brand Smartphone features, ASUS First own brand Smartphone details, ASUS First own brand Smartphone specs, ASUS A50 Smartphone price, ASUS A50 Smartphone details. 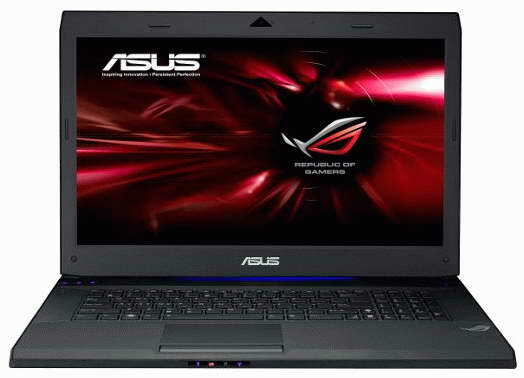 ASUS recently added two Sandy Bridge-powered laptops to its Gaming laptop line up, named Asus G53SW and Asus G73SW.Both the new Asus G53SW and Asus G73SW gaming Laptops is based on Intel's new Sandy Bridge platform. The new Asus G53SW gaming Laptop comes equipped with a 15.6-inch display with a resolution of 1366 x 768 pixels where as Asus G73SW laptop packed with a 17.3-inch Full HD display with 1920 x 1080 pixel resolution. Both Asus G53SW and Asus G73SW gaming Laptops comes powered with a 2GHz Intel Core i7-2630QM quad-core processor and includes an nVidia GeForce GTX 460M graphics with 1.5GB of GDDR5 memory along with a 8GB DDR3 RAM, Blu-ray drive, Wi-Fi 802.11b/g/b, Bluetooth, HDMI and USB 3.0 port. Asus G53SW Laptop houses a single hybrid drive of up to 1TB capacity and the Asus G73SW laptop supports twin 500GB Seagate Momentus XT hybrid drives along with 4GB additional flash memory. New Asus G73SW notebook now available for a price tag that range between €1,900 and €2,050 (about $2516 to $2714) where as Asus G53SW notebook is expected to be priced around $1,299. Gigabyte Technology recently added a new netbook, named Gigabyte Q2005 powered by dual-core processor.The new Gigabyte Q2005 netbook comes pre-installed with either Windows 7 Starter or Home Premium OS. New Gigabyte Q2005 netbook comes equipped with a 10.1-inch LED-backlit display with 1024 x 600 pixel resolution and is powered with 1.5GHz Intel Atom N550 dual-core processor along with Mobile Intel NM10 Express Chipsets and Intel GMA 3150 integrated graphics card. 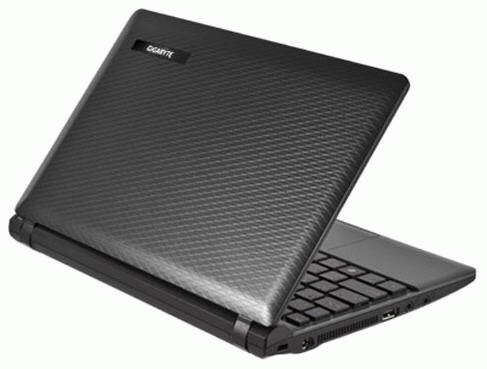 Gigabyte Q2005 dual-core netbook houses either 1GB or 2GB DDR3 RAM and the storage options are 250GB/320GB/500GB SATA HDD (5400rpm).Gigabyte Q2005 netbook Features 0.3 megapixel webcam, 10/100 Mbps Ethernet LAN, Wi-Fi 802.11b/g/n, 1.5Wx2 speakers, 8-in-1 card reader and optional Bluetooth 3.0.The netbook also houses 3-cell or 6-cell battery as back up power option. 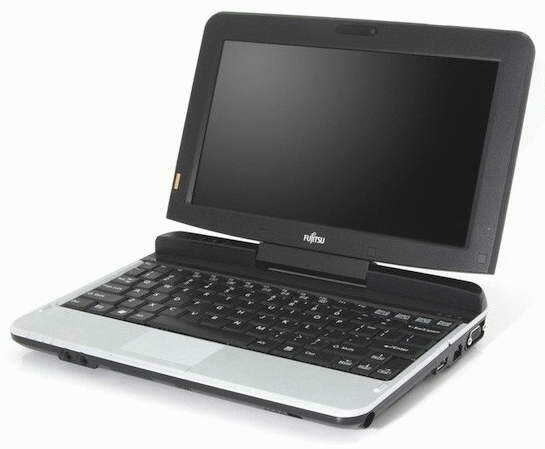 Tags:-Gigabyte Q2005 dual-core netbook features, Gigabyte Q2005 dual-core netbook specifications, Gigabyte Q2005 dual-core netbook details. Dell Adamo 13 laptop now available from Dell with a price cut of $200 reduced the new price to just $899.Apart from the price cut the new Dell Adamo 13 laptop also features a faster 2.13GHz CPU than the previous 1.4GHz Core 2 Duo ultra-low voltage processor. The new Dell Adamo 13 laptop comes equipped with a 13.4-inch white LED (WLED) display with a resolution of 1366×768 pixels and 16:9 aspect ratio.New Adamo 13 laptop houses 4GB RAM along with a 128GB SSD as storage area. New updated Dell Adamo 13 laptop Features full-size keyboard with backlighting and scalloped, metallic key cap design, WiFi 802.11n, Ethernet, two USB ports (one with eSATA) and a DisplayPort. 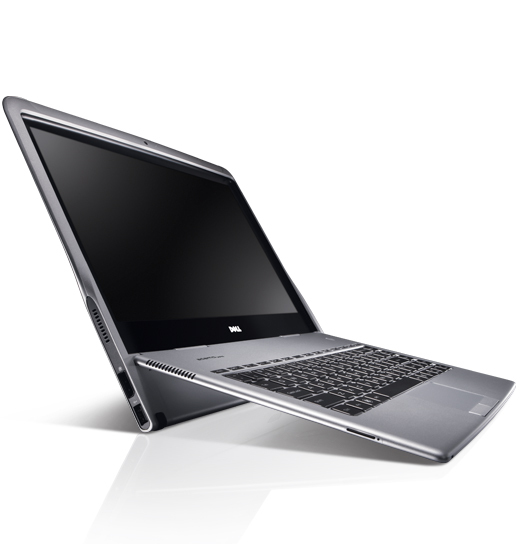 The new Dell Adamo 13 laptop comes pre-installed with Windows 7 Home Premium 64-bit OS and for power bac-up the laptop packs a 6-cell battery offering more than five hours of battery life due to its lithium polymer technology. Tags:-New Dell Adamo 13 laptop, low price New Dell Adamo 13 laptop, Dell Adamo 13 laptop new updates, Dell Adamo 13 laptop new features, Dell Adamo 13 laptop updated specs, Dell Adamo 13 laptop new price tag. Google recently launched its new Nexus S Limited Edition Smartphone named Google Nexus S Limited Edition GT-I9020T in market.The new Nexus S Limited Edition Smartphone comes just one month after the Google Nexus S Smartphone launch and that too as unlocked version.The Limited Edition Google Nexus S comes in stylish design of hundreds of tiny Android mascots placed in back panel. 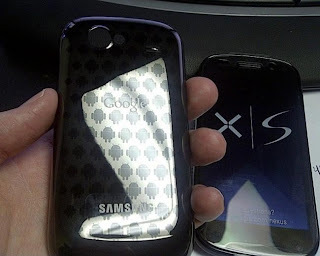 Samsung Google Nexus S Limited Edition GT-I9020T smartphone is currently offered by Negri Electronics with a unlocked version price tag of $843.50, a bit expensive than standard Nexus S.
Limited Edition GT-I9020T Google Nexus S smartphone runs on Google's latest OS Android 2.3 Gingerbread OS.The battery of the smartphone provides about 6.7 hours talk time on 3G and almost 17.8 days standby life. Google Nexus S Limited Edition smartphone is designed to work in Quad-band GSM 850/900/1800/1900 MHz, Tri-band HSPA 900/2100/1700 MHz, HSDPA (7.2Mbps) and HSUPA (5.76Mbps) networks.The smartphone weighs 129 grams and its dimensions are 63 x 123.9 x 10.88 mm. 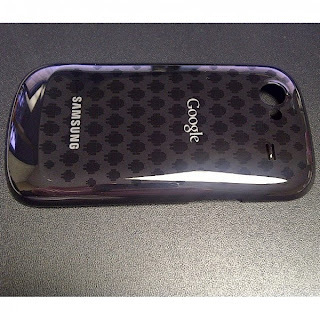 Tags:- Google Nexus S Limited Edition images, Google Nexus S Limited Edition pics, Google Nexus S Limited Edition details, Google Nexus S Limited Edition price, Google Nexus S Limited Edition price tag, Google Nexus S Limited Edition specs, Google Nexus S Limited Edition features, Google Nexus S Limited Edition detailed review, Google Nexus S Limited Edition photogallery. 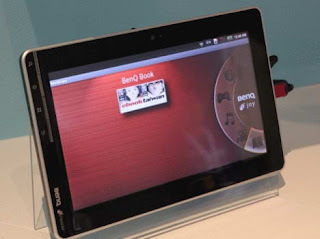 BenQ on its way to introduce its all new Android tablet, named BenQ R100 soon in market.The new BenQ R100 Tablet is expected to hit Taiwan and China markets by early 2011. 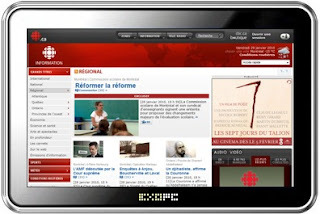 The new BenQ R100 Tablet comes equipped with a 10-inch touchscreen display with 1024×600 pixel resolution and is powered with a 833MHz Samsung processor and is a better device for reading newspapers, ebooks etc..
New BenQ R100 Android Tablet Features Bluetooth, Wi-Fi 802.11 b/g/n, 8GB internal memory, headphone jack, both mini HDMI and mini USB ports and an SDHC card slot support up to 16GB card.The tablet from BenQ includes a battery that capable of providing 12 hours of battery life. 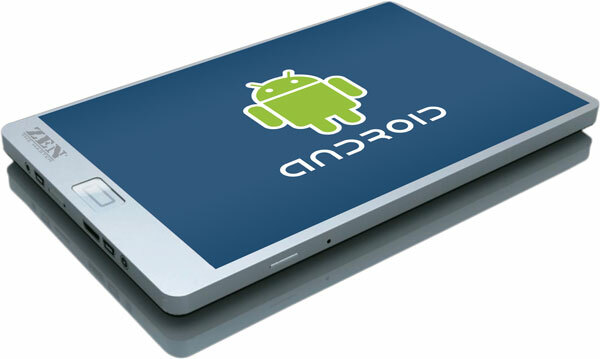 Upcoming BenQ R100 Android Tablet runs on Google Android OS but version details is not outed yet.The tablet weighs 720 grams and its dimensions are 15 x 191 x 244 mm. Tags:-BenQ R100 Android Tablet details, BenQ R100 Android Tablet specifications, BenQ R100 Android Tablet launch, BenQ R100 Android Tablet release, BenQ R100 Android Tablet images, BenQ R100 Android Tablet specs. 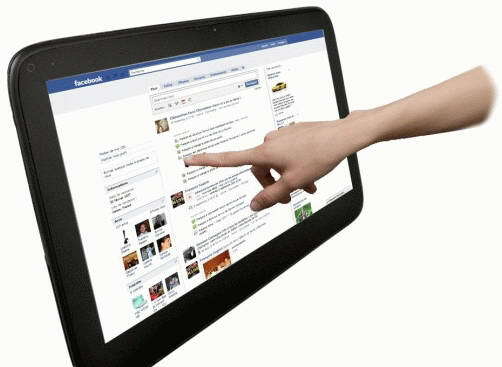 Airis, French manufacturer on its way to bring its latest tablet PC, named Airis Slimpad featuring Windows 7 Home Premium OS.The new Airis Slimpad Windows 7 Tablet comes with a price tag of $800. New Airis Slimpad Tablet PC equips an 11.6-inch capacitive multi-touch TFT HD display with 1366 x 768 pixel resolution and is powered with a 1.6GHz Intel Atom N450 processor.Airis Slimpad Tablet also packs Intel Graphics Media Accelerator GMA 500 integrated graphics card along with 1GB DDR2 RAM and 32GB SSD. Airis Slimpad Windows 7 Tablet Features 1.3MP camera, Wi-Fi 802.11a/b/g, Bluetooth, stereo speakers, Mini HDMI port, SDHC card slot, two USB ports, and a 4800 mAh battery as power option.The Windows 7 Tablet from Airis weighs 850 grams and its dimensions are 288 x 190 x 14 mm. Tags:-Airis Slimpad Tablet, Airis Slimpad Windows 7 Tablet Specifications, Airis Slimpad Windows 7 Tablet launch, Airis Slimpad Windows 7 Tablet price, Airis Slimpad Windows 7 Tablet price tag, Airis Slimpad Windows 7 Tablet details, Airis Slimpad Windows 7 Tablet configuration. 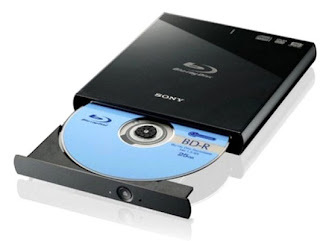 Sony India introduced internal and external Blu-ray Rewritable Drives in Indian market.The new internal and external models of Blu-ray Rewritable Drives are named BD-5300S and BDX-S500U.The new models of Blu-ray rewritable drives supports the 3D Blu-ray or BDXL format ie latest Blu-ray format.BDXL format is the latest 3D movie format used. New Sony BD-5300S internal Blu-ray writer comes with a SATA interface and is capable of writing single layer BD-R media up to a 12x speed while the dual layer BD-R media with up to a speed of 8x there by taking about 10 minutes to write a 25GB capacity disc. 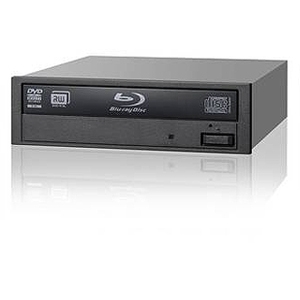 Sony BD-5300S internal Blu-ray writer also has a DVD+/-Rwriting speed of up to 16x, DVD+RW at 8x speed, DVD+/-DL with up to 8x speed, at 6x speed writes DVD-RW, DVD-RAM at 12x speed and up to 48x speed for CD-R/RW. The external Sony Blu-ray writer named Sony BDX-S500U equips a and capable of writing single layer BD-R with up to 6x speed while the dual layer BD-R at up to 4x.The external Blu-ray writer can write BD-RE with a 2x speed and comes with Cyberlink Media Suite 8 provides free Blu-ray movies. New Sony BD-5300S internal Blu-ray writer comes available for a price tag of Rs. 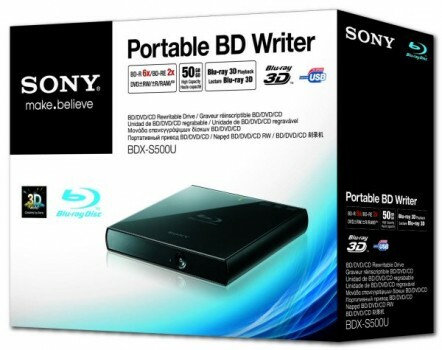 11,000 and the the Sony BDX-S500U external Blu-ray writer costs Rs. 18,500 in India and both comes with a one year warranty. Tags:-Sony Blu-ray Rewritable Drives in India, Sony internal Blu-ray Rewritable Drives in india, Sony external Blu-ray Rewritable Drives in india, Sony Blu-ray Rewritable Drives in India price, Sony internal Blu-ray Rewritable Drives in india price, Sony external Blu-ray Rewritable Drives in india pricetag, internal and external Sony Blu-ray Rewritable Drives, Sony BD-5300S internal Blu-ray writer Features, Sony BD-5300S internal Blu-ray writer review, Sony BDX-S500U external Blu-ray writer review. 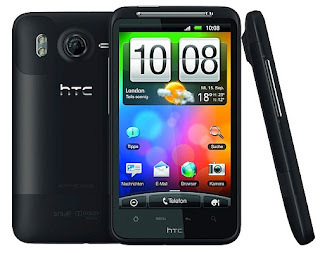 Flipkart started taking the Pre-order of all new HTC Desire HD in Indian market.The new HTC Desire HD Smartphone is now available via Flipkart for a price tag of Rs. 27,499. All new HTC Desire HD Smartphone comes equipped with a 4.3-inch S-LCD display with a resolution of 480x800 pixel and is powered with a 1GHz Snapdragon processor along with 768MB RAM.The HTC Fast Boot technology aids in fast boot up of the smartphone. HTC Desire HD Smartphone runs on Google Android 2.2 Froyo OS along with HTC Sense UI.The new HTC Desire HD Smartphone houses a 8-megapixel camera with Dual-LED flash and also supports 720p HD video recording.The camera also features Face-tagging, geo-tagging and built in effects like depth of field, vignette etc. 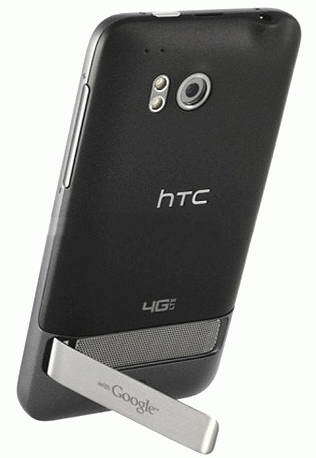 New HTC Desire HD India Features Dolby Mobile and SRS Surround Sound, Flash Player 10.1 support, Gravity Sensor, Proximity Sensor, Ambient Light Sensor, Digital compass, 3G, EDGE with 560 kbps download speeds, Wi-Fi 802.11 b/g/n, Stereo FM Radio with RDS and 3.5mm audio port. All new HTC Desire HD Smartphone supports 3G networks for the fast downloading speed of about 14.4Mbps and almost 5.76Mbps upload speed.The smartphone supports DivX and Xvid video file playback. 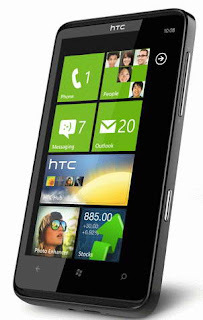 Tags:-HTC Desire HD Smartphone launched in india, HTC Desire HD Smartphone complete details, HTC Desire HD Smartphone india launch, HTC Desire HD Smartphone india features, HTC Desire HD Smartphone india price, HTC Desire HD Smartphone price in india, HTC Desire HD Smartphone now available in inida, HTC Desire HD Smartphone india specs, HTC Desire HD Smartphone, HTC Desire HD Smartphone review. 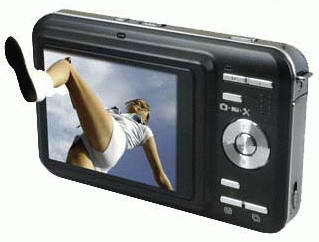 January 2011.The new Rollei PowerFlex 3D Compact Camera Features two modes of operation:normal mode and 3D content mode. The Rollei PowerFlex 3D camera equips a 2.8-inch display with 640 x 480 pixels resolution.The 3D compact camera houses two 5MP CMOS image sensor which includes two lenses produces 3D images at 2592 x 1944 pixel resolution and records HD video at 30 frames per second with a resolution of 1280 x 720 pixels. The most notable feature of Rollei PowerFlex 3D Digital Compact Camera is that there is no special 3D glass required to view 3D images.Rollei PowerFlex 3D also included with digital image stabilization. In 2D mode The camera features 8x digital zoom, HDMI and video systems (PAL / NTS).The all new Rollei PowerFlex 3D Digital camera will be available for a price tag of € 299.95. 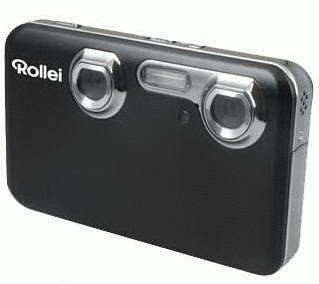 Tags:-Rollei PowerFlex 3D camera features, Rollei PowerFlex 3D camera specifications, Rollei PowerFlex 3D camera images, Rollei PowerFlex 3D camera without 3d glass, direct view 3d camera, 3D camera, 3D camera without 3D glasses. H.T. IMPEX recently made the availability of their new Android Tablet, named Zen Pad in Inidan market under brand name ZEN The Master .The new Zen Pad Android Tablet is the low priced Android tablet now available in India with a price tag of Rs.13,999 available in IT stores in a few days. New Zen Pad Android Tablet comes equipped with a 7-inch resistive single touch screen LED backlight display with 16:9 aspect ratio and a resolution of 800x480 pixels.The Zen pad tablet is powered by 667MHz processor along with a 256 MB DDR2 RAM. The all new Zen Pad Tablet runs has a stylish slim form factor design with silver front panel and a black shaded back end.Zen Pad Tablet Features 0.3MP camera, Wireless LAN WiFi 802.11 b/g, HDMI out with HDMI cable, pouch with keyboard and an Expandable memory slot included with 8GB memory card. Zen Pad Tablet runs on Google Android v2.1 OS and has built in YouTube applications, Android Market access and easy Social Network site access etc. Tags:-Zen Pad Android Tablet india price, Zen Pad Android Tablet india launch, Zen Pad Android Tablet price in india, Zen Pad Android Tablet features, Zen Pad Android Tablet india specs, Zen Pad Android Tablet india launch images, Zen Pad Android Tablet india launch details, Zen Pad Android Tablet memory, Zen Pad Android Tablet availability. 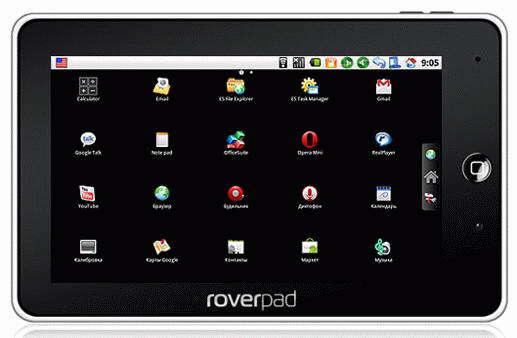 Rover Computers brings its new tablet device named RoverPad 3W T70.The new RoverPad 3W T70 Tablet will be available for a price tag of about 8,990 rubles. 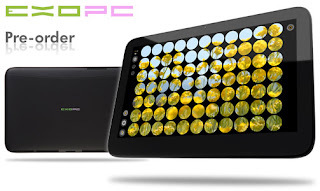 The new RoverPad 3W T70 tablet comes equipped with a 7-inch resistive touchscreen display with 480 x 800 pixel resolution and is powered with 720MHz Telechips 8902B processor with 3D accelerator.The RoverPad 3W T70 tablet also houses 256MB RAM along with a 4GB internal memory. 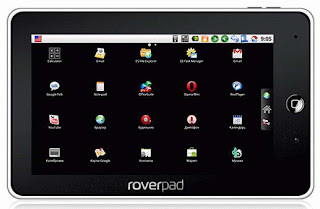 New RoverPad 3W T70 tablet runs on Google Android 2.1 OS and Features webcam microphone, speaker, Wi-Fi, two MiniUSB ports, 3.5mm headphone jack and a MicroSD card slot. RoverPad 3W T70 tablet comes included with a 2500 mAh battery and has a stylish metal enclosure.The tablet weighs 384 g and has a thickness less than 14 mm. 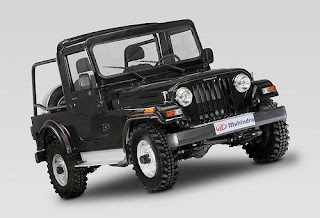 Tags:-Rover Computers RoverPad 3W T70 tablet features, Rover Computers RoverPad 3W T70 tablet details, Rover Computers RoverPad 3W T70 tablet launch, Rover Computers RoverPad 3W T70 tablet price tag, Rover Computers RoverPad 3W T70 tablet specs. Microsoft recently listed the pre-order availability of all new ExoPC tablet at Microsoft’s online store.The new ExoPC tablet now available for pre-order for a price tag of $699. New ExoPC tablet now comes equipped with a 11.6-inch multi-touch display having a resolution of 1366 x 768 pixels and is powered with 1.66GHz Intel Atom N450 processor along with 2GB RAM and a 64GB SSD as storage. All new ExoPC tablet runs on Windows 7 Home Premium OS and Features 1.3 megapixel webcam, Bluetooth, 802.11 b/g/n WiFi, SDHC card slot and a 4-cell battery providing power. Tags:-ExoPC tablet pre-order price, ExoPC tablet launch, ExoPC tablet availability ,ExoPC tablet features, ExoPC tablet specs, ExoPC tablet details, ExoPC tablet at Microsoft Store, pre-order ExoPC tablet at Microsoft Store details. 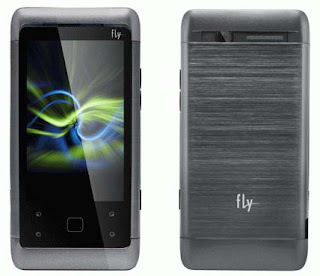 Fly mobiles recently brought to sale its all new touchscreen dual SIM mobile phone, named Fly E146.New Fly E146 touchscreen handset now available for sale for a price tag of 4,190 rubles in Russian market. New Fly E146 handset comes equipped with a 3-inch touchscreen TFT LCD display with 240 x 400 pixels (WQVGA) resolution and Features 2MP camera, Bluetooth 2.1, accelerometer, FM tuner, video and music player, Opera Mini web browser and a MicroSD / MicroSDHC memory card slot. The Fly E146 mobile phone supports two networks simultaneously with its dual-SIM slots.The battery provides 3 hours of life in talk time or up to a 200 hours standby time.The Fly E146 touchscreen phone is designed to work in GSM/GPRS/EDGE 900/1800 MHz networks. The Dual-SIM Fly E146 mobile phone weighs 87 grams and its dimensions are 109 x 52 x 10.5 mm. 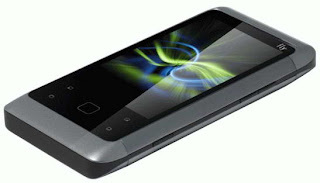 Tags:-Fly E146 Touchscreen Dual-SIM Phone, Fly E146 Touchscreen Dual-SIM Phone price, Fly E146 Touchscreen Dual-SIM Phone features, Fly E146 Touchscreen Dual-SIM Phone details, Fly E146 Touchscreen Dual-SIM Phone launch, Fly E146, Touchscreen Dual-SIM Fly Phone. Bose recently introduced new set of headphones, named Bose AE2 in Indian market.The new Bose AE2 headphones can be used with iPhone, iPad, iPod and MP3 players providing excellent sound quality.Bose AE2 headphones now available in Indian markets for a price tag of Rs.8,100. New Bose AE2 headset has a better fit fold flat design where the portability option is enhanced.The AE2 headsets from Bose Features proprietary Bose TriPort acoustic headphone structure which is according to Bose produces smoother and natural sound quality. Bose AE2 headphones also comes included within two ear cushions made of memory foam.The memory foam ear cushions has the advantage of distributing the weight evenly around the ear for peoples with different head shapes. All new Bose AE2 headphones now available through Bose stores across India or can be ordered from Bose India website having a price tag of Rs.8,100. 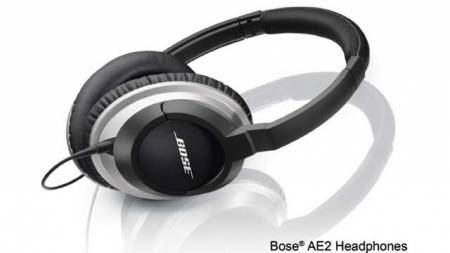 Tags:-Bose AE2 headphones india price, Bose AE2 headphones india features, Bose AE2 headphones india details, Bose AE2 headphones india launch, Bose AE2 headphones india availability, Bose AE2 headphones features, Bose new headphones price, New Bose headphones details. Philips recently introduced a new Dual SIM handset, named Philips Xenium X513 in Russian market.The new Philips Xenium X513 phone is also a music centered handset and is made of classic form factor.The Dual SIM Philips Xenium X513 mobile phone is available for a price tag of 4,999 rubles. 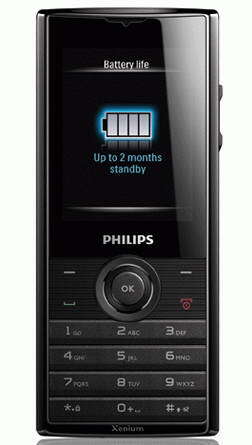 New Philips Xenium X513 dual SIM handset comes equipped with a 2.2-inch TFT display with 320 x 240 pixels (QVGA) resolution and Features 2 megapixel camera with LED flash, media player, Bluetooth 2.0, FM radio with RDS, 3.5mm headphone jack along with a MicroSD card slot that supports up to 16GB Card. 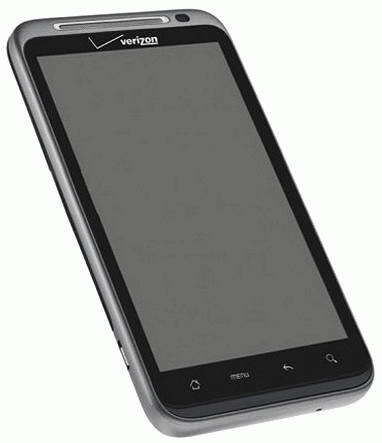 Tags:-Dual SIM Music Phone, Philips Xenium X513 Dual SIM Music Phone, Philips Xenium X513 Dual SIM Music Phone price, Philips Xenium X513 Dual SIM Music Phone details, Philips Xenium X513 Dual SIM Music Phone specs. Digital Storm recently started the direct sale of its all new gaming Notebook, named Digital Storm xm15.The new Digital Storm xm15 Notebook now available for sale with a price tag that starts at $999. 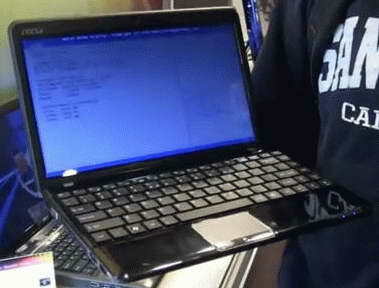 The new Digital Storm xm15 Notebook comes equipped with a 15.5-inch display with 1366×768 resolution and is available in different hardware configurations.All models of Digital Storm xm15 gaming Notebook comes featured with a NVIDIA Optimus Hybrid Technology which provides automatic switching between integrated and discrete Graphics card. 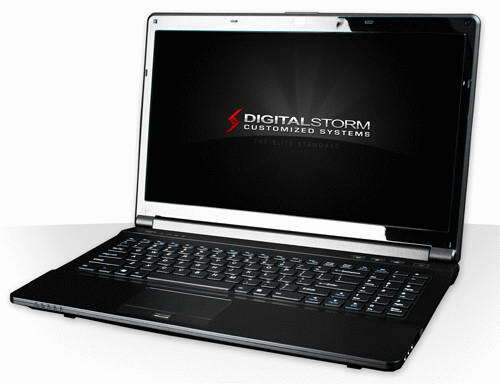 The base model of Digital Storm xm15 notebook with price tag $999 comes powered with a 2.4GHz Intel Core i5 processor and NVIDIA 1GB 425M discrete graphics card along with 4GB DDR3 RAM module.The high-end configurations are LCD screen with 1920×1080 pixel resolution, 2.67GHz Intel Core i7 processor along with a 8GB DDR3 RAM and is priced at $1,367. Other Features of Digital Storm xm15 gaming laptop includes optical audio ports, HDMI and VGA outputs, USB 3.0 port, and eSATA ports. Tags:-Digital Storm xm15 Gaming Notebook price, Digital Storm xm15 Gaming Notebook models, Digital Storm xm15 Gaming Notebook details, Digital Storm xm15 Gaming Notebook availability, Digital Storm xm15 Gaming Notebook price details. 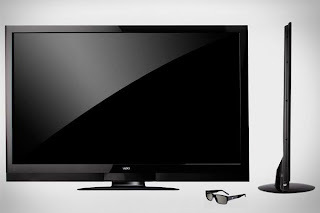 US consumer electronics manufacturer, Vizio recently launched a new 65-inch 3D LCD LED TV, named Vizio XVT3D650SV 3D LED LCD.The new Vizio XVT3D650SV 3D LED LCD TV now available for sale in US market for a price tag of $3,499.99 (about Rs. 1,60,000). New Vizio XVT3D650SV 3D LED LCD 65-inches TV comes with an edge-lit LED backlit LCD panel and Features 120Hz refresh rate, 5ms response time, Wi-Fi connectivity, Bluetooth communication options, Bluetooth remote with a slide-out QWERTY keyboard and have access to online services like YouTube, Netflix, and Pandora. The Vizio 65-inch 3D LCD LED TV use passive polarized 3D technology instead of active LCD shutter technology. Tags:-Vizio 65-inch 3D LCD LED TV, Vizio 65-inch 3D LCD LED TV details, Vizio 65-inch 3D LCD LED TV price, Vizio 65-inch 3D LCD LED TV features, Vizio 65-inch 3D LCD LED TV specs, Vizio 65-inch 3D LCD LED TV images. Candinavian online retailer CDON.com recently announced the pre-order availability of the all new dual-core Android smartphone, named LG Optimus 2X Star.The new LG Optimus 2X Star smartphone is the world's first dual-core Android smartphone and is based on Nvidia’s Tegra II chip that makes the Optimus 2X Star the fastest smartphone too. 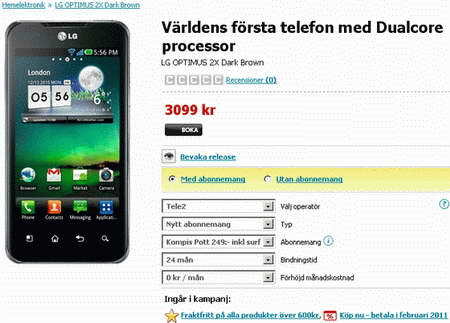 New LG Optimus 2X (LG Star) Smartphone is now available for pre-order in Sweden with a price tag of 3,099 SEK (about $450 or €345) with contract and a price tag of 4,999 SEK (around $730 or €555) without contract. 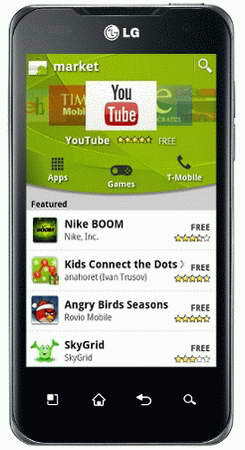 LG Optimus 2X Smartphone comes equipped with a 4-inch touchscreen display with 480 x 800 pixel resolution and is powered with Nvidia’s Tegra II dual core processor.The smartphone houses a 8MP camera with a 3264 x 2448 pixel resolution capturing capability.Other Specifications of LG Star includes 8GB internal memory, Google Android 2.2 Froyo OS and microSD card slot with 32GB card support capability. 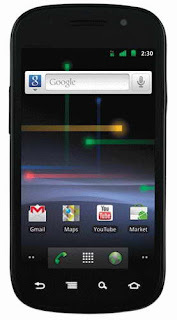 Tags:-LG Optimus 2X (LG Star) Smartphone pre-order, LG Optimus 2X (LG Star) Smartphone price, LG Optimus 2X (LG Star) Smartphone launch, LG Optimus 2X (LG Star) Smartphone features, LG Optimus 2X (LG Star) Smartphone pre-order price, dual core Smartphone, fastest smartphone, first dual core Smartphone. 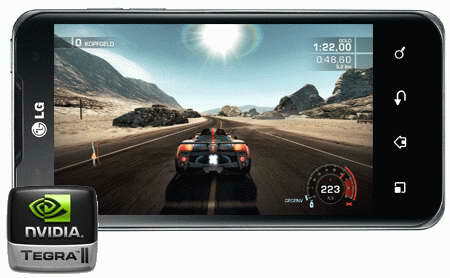 Sony Ericsson rcently made the availability of new cylinder shaped speakers named Sony Ericsson MS430.The new Sony Ericsson MS430 cylinder shaped stylish speakers are made primarly for smartphones. The new Cylinder shaped MS430 speakers will be available from the first quarter of 2011 for a price tag of 1,290 rubles in Russian market.The stlish cylinder speakers from Sony Ericsson is made of polished aluminum and has a special twist mechanism for accessing the batteries.The Sony Ericsson MS430 speakers requires three AAA batteries for its functioning. 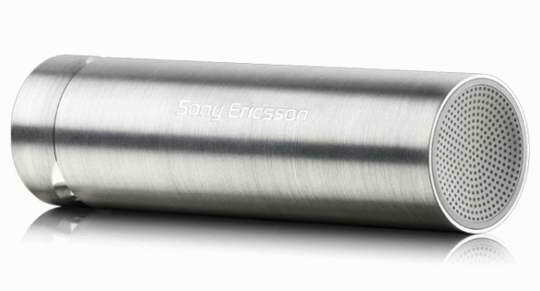 New Sony Ericsson MS430 cylinder has a standard 3.5mm jack and weighs 67 grams along with a dimension of 110.25 mm length and 31mm diameter.SONY ERICSSON also said that the new Sony Ericsson MS430 cylinder speakers can be used along with any Gadgets like music players, and products of other manufacturers. 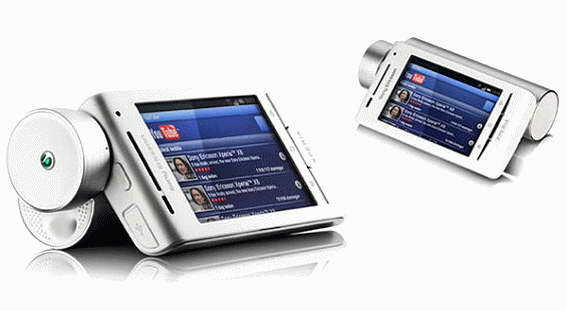 Tags:-Sony Ericsson MS430 cylinder speakers price, Sony Ericsson MS430 cylinder speakers features, Sony Ericsson MS430 cylinder speaker details, Sony Ericsson MS430 cylinder speakr lunch, cylinder shaped speakers from Sony Ericsson.